Team Great Britain, boxer Muhammad Ali, has been provisionally suspended from all international and domestic competitions after testing positive for a banned steroid, the international amateur boxing association says. AIBA said on its website on Thursday it would not make any further comment on the matter until its anti-doping panel had heard the 21-year-old’s case. “GB Boxing is committed to clean sport. 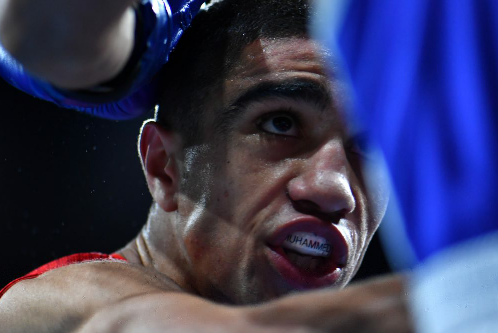 Ali, a silver medalist at the 2014 World Youth Championships and 2016 European Championships, lost his first round of the flyweight competition at last year’s Rio Olympics in Brazil.